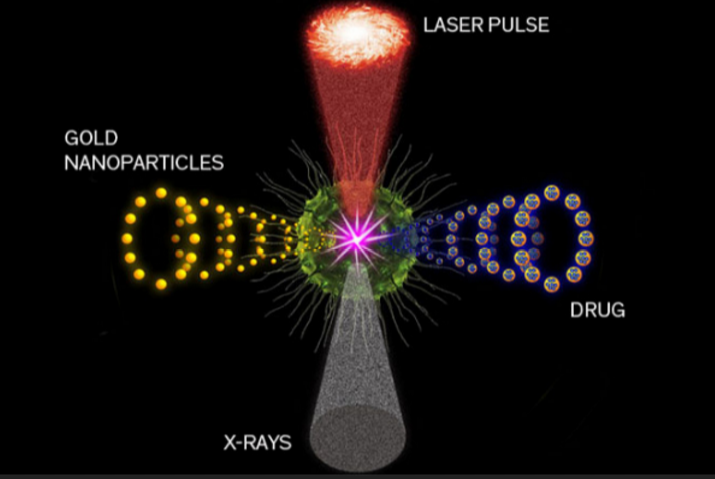 Online today inNature Nanotechnology, Lapotko and his colleagues report that those mini-explosions made it possible not only to pick up sound from where tumor cells were located―and thereby detect the presence of as few as three cancer cells―but it also destroyed the cells in the process. For cases in which it was possible to surgically resect most of the cancer tissue, 100% of the animals survived, thanks to the fact that no residual cancer cells remained alive. And in cases where only partial surgical removal of a tumor was an option, the survival rate for the animals doubled. 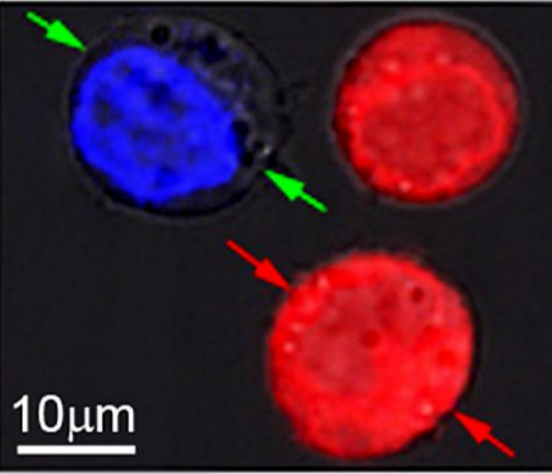 Clusters of gold nanoparticles sit on the surface of a cancer cell. 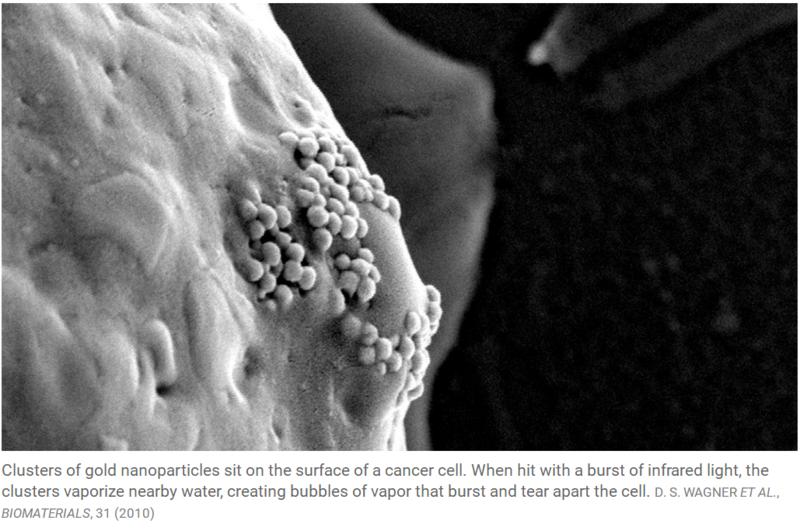 When hit with a burst of infrared light, the clusters vaporize nearby water, creating bubbles of vapor that burst and tear apart the cell.